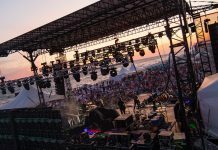 It can be easy to spend some cash on entertainment and eating out along Scenic Highway 30A, but there are also plenty of free things to do from concerts to getting creative with that sand beneath your toes. Choose one of the free, public beach accesses and pack a basket full of delicious easy-to-eat dishes for a family outing, a romantic date or an afternoon with friends. We love the relative seclusion of the Blue Mountain Regional Beach Access, which has a nice restroom facility and any of the accesses in Seagrove Beach (though parking is limited in Seagrove). 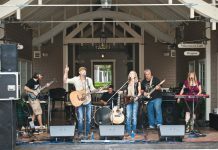 During the spring, summer and fall, Rosemary Beach, Alys Beach, Seaside and Gulf Place all host free concerts on their green lawns. 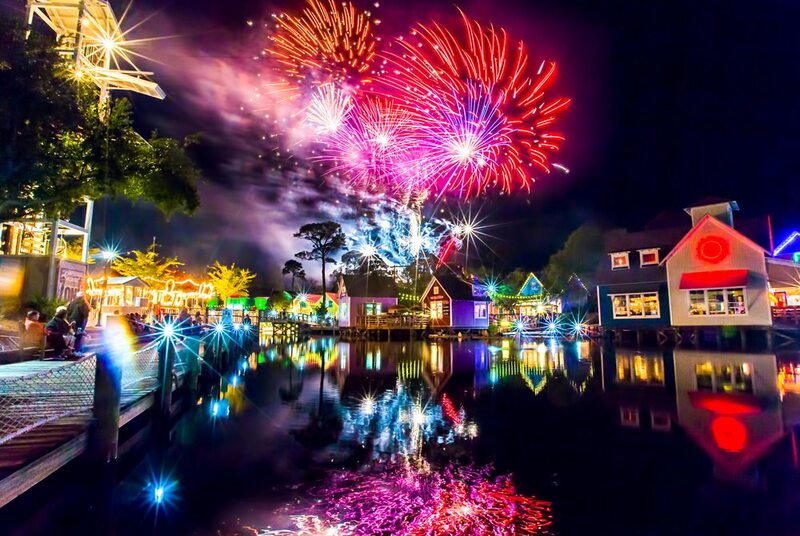 Baytowne Wharf also throws a party every Wednesday night with a free concert and fireworks during the summer months. Check our events calendar for listings. Fireworks at The Village of Baytowne Wharf. Photo by Sandestin. The 19-mile paved path referred to as the Timpoochee Trail runs the entire length of Scenic Highway 30A and passes through all of the small beach towns along the way and offers a view of the area that is difficult to see from a car. 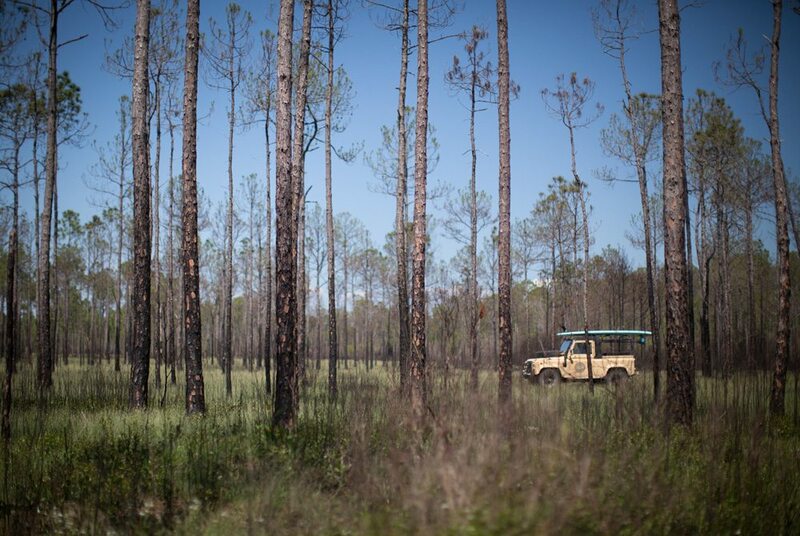 Catch breathtaking views of coastal dune lakes, including the iconic image of the tall trees along the eastern shore of Western Lake. Check out this handy guide to the trail, including notable sights along the way and trail etiquette tips. If you have a vehicle that can handle it (four-wheel drive recommended), the 15,400-acre Point Washington State Forest is criss-crossed with sandy trails open to the public for exploring. Stop in the Forest Service office at 5865 E. U.S. Hwy. 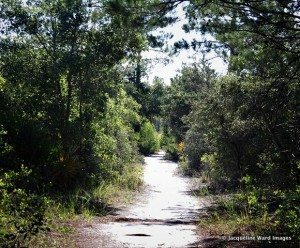 98 in Santa Rosa Beach for suggested trails or map your own using resources on their website. During the summer months The Rep’s actors head outdoors all along Scenic Highway 30A for free performances of children’s classics — with their own original, and often hilarious, take. 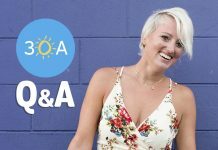 Check out their upcoming performances at lovetherep.com. 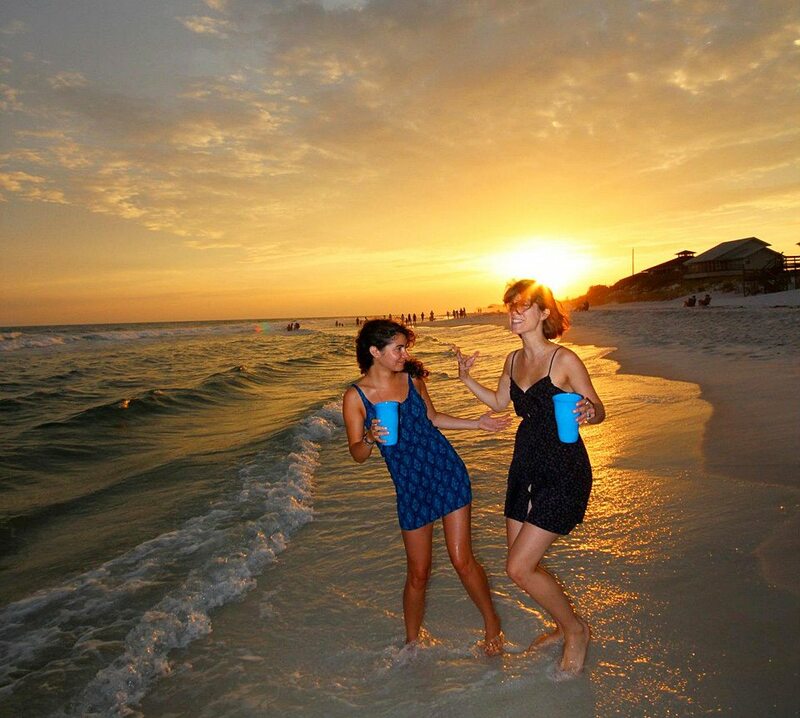 Whip up a mix of your own favorite cocktails in a plastic thermos or grab a selection of craft beers in cans and head to the beach for the best happy hour view EVER as the sun sinks into the Gulf of Mexico. 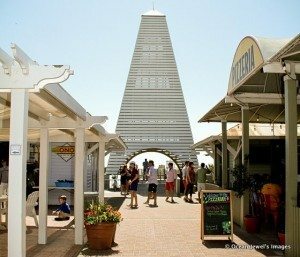 Seaside, the community that put South Walton on the map, is also one of its more crowded areas, which makes it perfect for people watching. Grab a seat on one of the benches under the obelisk pavilion at the main beach access or pop a squat on the green lawn in the town square. 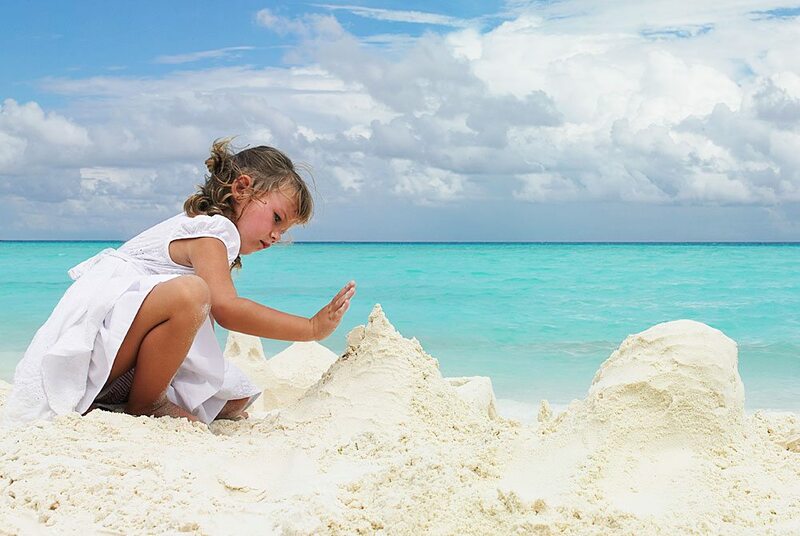 Go head-to-head to see who can get the most creative with that crystal-white sand in your own family sandcastle competition. Just don’t forget to destroy your creations (could be the best part!) at the end of the day so they don’t interfere with any sea turtles trying to find their way back to the Gulf. Western Lake shallows as it nears the Gulf of Mexico at Grayton Beach, forming an all-natural kiddie pool for the little ones to splash around without having to contend with any waves. It’s a popular gathering spot for families, especially on the weekends. Alys’ Beach’s architecture is world-renowned. 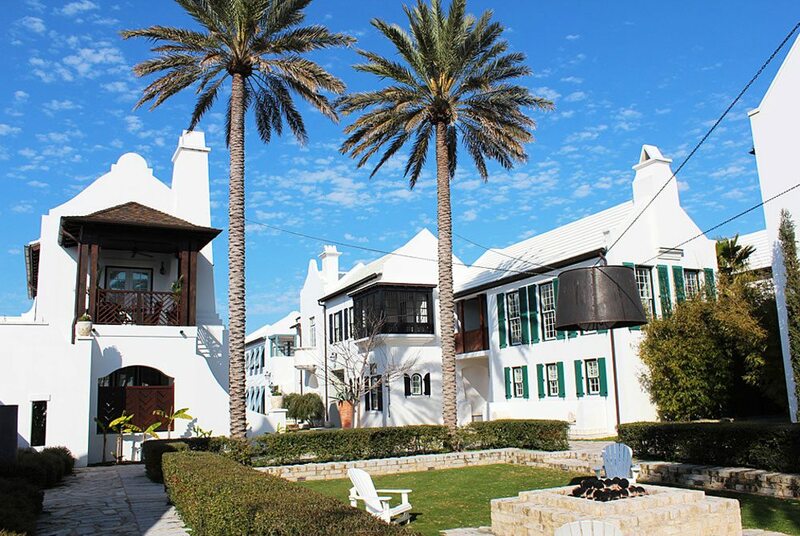 Seaside, Alys Beach, Rosemary Beach and Inlet Beach all have distinct architecture and design styles, some are leaders in their country in their respective fields. Read up on some of the history and then take a tour on foot or bike to check it out for yourself. 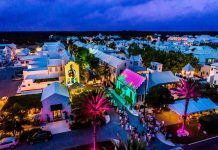 Learn more about Alys Beach’s architecture here and learn more about New Urbanism and design here. In the fall, for the price of park admission (between $2 to $3), catch some vintage films (think Jaws and Frogs) screened for free in the great outdoors. Check the park’s events page for the schedule. 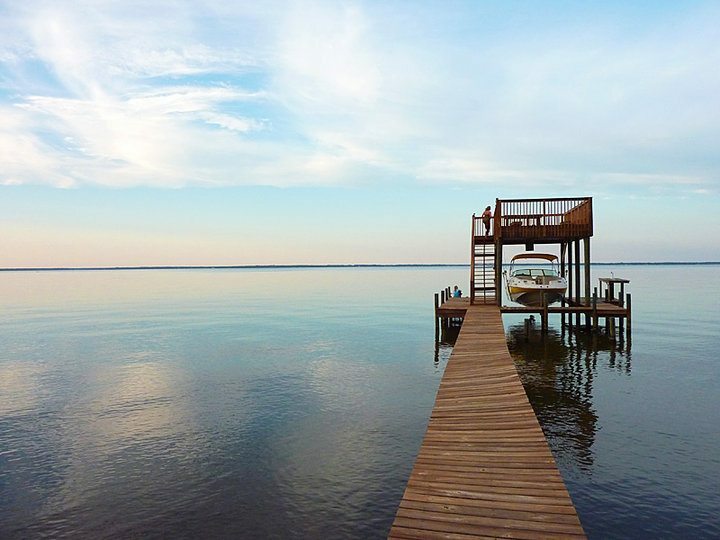 Choctawhatchee Bay, that is. The Bay is one of the under-appreciated natural resources of South Walton. 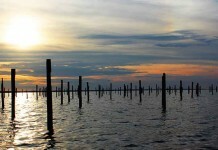 Find a dock and park it or cast a fishing line out and hope to entice a redfish or two. One of our favorite spots is Hogtown Bayou’s Cessna Landing on North County Highway 393. Find a map here. Hop in a car and head about an hour north for the best summer-heat relief you can imagine. 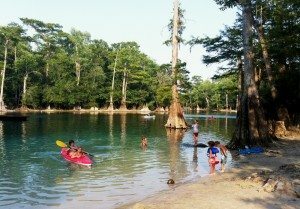 The highlight of this park is the spring-fed swimming hole that produces about 50 million gallons of crystal clear, ice-cold water each day. Learn more here. There you have it! 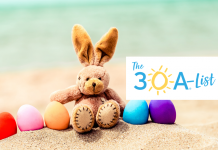 Have any other ideas of free things to do on 30A? Drop us a line or leave in the comments section below.